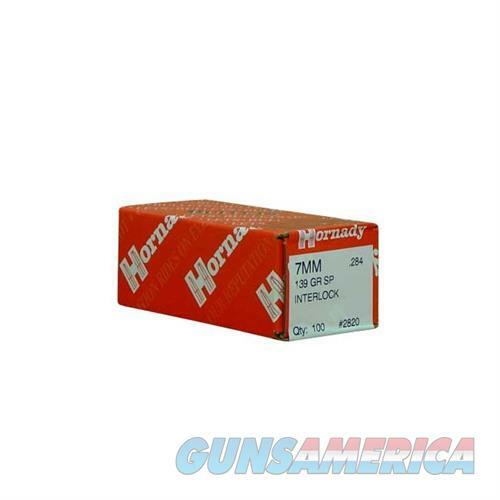 Description: Hornady 2820 7mm (0.284") 139gr Soft Point 100/Box Hornady InterLock Bullets feature an aerodynamic secant ogive, delivering flat trajectories and great accuracy. Tapered jacket for deep penetration and controlled expansion. InterLock ring locks core and jacket together. Lead alloy core is tough enough for any game.